It may not seem time-efficient to consistently run maintenance checks on forklifts, but when a machine isn’t properly maintained, there is no way it can function at its highest potential. As a result, you see a decrease in efficiency and an increase in costs. But poorly maintained forklift affect much more than just day-to-day functions. Improperly maintained equipment is one of the top sources of safety hazards in the workplace. This is an easy step you can do yourself, and it doesn’t have to take a ton of time. In fact, performing daily or pre-shift maintenance inspections on your lifts will prevent a serious issue down the road which could take a lift out of the game for a number of days or weeks. Before each shift, check the fluid and lubricant levels, and keep a manufacturer checklist with you to ensure a thorough inspection. One thing to always take the time to do before a fleet moves out is to make sure there is no debris like wood, plastic, banding, or wire lying on the floor. Although they may seem insignificant, they can damage a forklift’s radiator or axle and can blow into the engine and cause a malfunction in the cooling system, or a fire. It is OSHA’s job to research and develop new strategies and regulations to improve safety in the workforce. This includes forklift maintenance. Take the time to educate yourself on the latest OSHA rules and regulations and be sure you are doing all you can to follow proper safety protocols. You also have access to safety devices like speed reduction systems, warning signs and lights, as well as traffic signals to help everyone on a worksite be aware of safety hazards. Consider investing in a professional maintenance service to provide scheduled, on-site checkups. They are specialized in working solely on the equipment you use, and will know where to look and may catch things you missed. Service professionals will look over the forklifts, take into account the running time, the type of environment they are used on, and many other factors. There are many maintenance companies that allow you to schedule monthly maintenance checks for a flat-fee, giving you peace of mind and reducing the need to keep track of monthly reports. Most forklifts used on worksites are now battery operated and OSHA recommends dedicating a separate battery charging room for that purpose only. Educate yourself and employees on proper battery management and be sure to invest in quality employee training. Bringing us to the next and quite possibly most important point, well-maintained forklifts start with educated drivers. If they know how to properly run them, inspect them, and maintain them, your fleet will be functioning without issue for a much longer time than with untrained employees. Another great benefit is that you will see an increase in overall workplace efficiency and uptime, while also seeing reduced costs. For the most affordable, convenient, and comprehensive online forklift training available, look to ForkliftCertification.com. Start implementing the DIY maintenance checks and combine it with a professional monthly service to ensure the most efficient and well-maintained forklifts. And check out ForkliftCertification.com for employee training today! Preventing injuries in any workplace – shipyards, docks, warehouses, and more – often starts with a sensible, easy-to-follow maintenance plan. A forklift inspection checklist is recommended by OSHA, and this popular FLC blog reviews important information about what to look for, problem areas to check, and much more – all with helpful statistics and visual-friendly graphics. 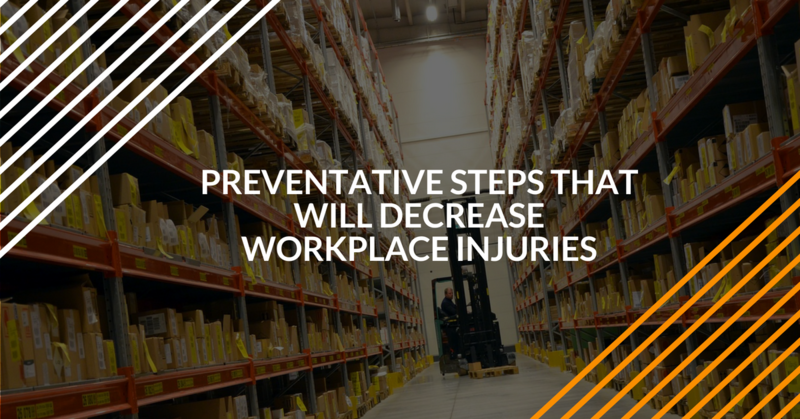 Using a dual-inspection strategy with a Visual Pre-Check and Operational Pre-Check, you and your co-workers will have a plan in place to prevent and avoid many of the most common injuries and accidents involving forklifts. Along with helpful safety information, this FLC article reveals some OSHA data involving forklift fatalities. If you’re interested in avoiding injuries at work – and who isn’t? – our Forklift Inspection Checklist is required reading. From essential safety info to other tips & tricks, this is one blog you can’t pass up. Check it out today! They’re the foundation of all forklifts – and they’re also often neglected. We’re talking about forklift tires. Just like your own automobile, a forklift is totally ineffective without a good set of tires. This FLC article revives a topic that’s become a bit deflated lately, even though it shouldn’t be. OSHA requires many safety checks for tires – before, during, and after use. Our OSHA forklift training experts give you all the info you need about tires, including the main causes of excessive tire wear, the importance of a disciplined maintenance plan, and some signs and symptoms that show your forklift tires are due for replacement. Whether you use a forklift indoors (distribution center, warehouse, etc.) or outside (rough terrain and outdoor forklifts at construction sites, shipyards, and elsewhere), this informative blog will give you a firm foundation (kind of like a good set of tires!) of knowledge to be the safest, most productive forklift operator you can be! This post was originally published in 2016 and was updated in 2018 to include more information and helpful links to some of our other workplace safety blog posts.